One hundred and eight dogs - most covered in feces, some suffering from anemia from being repeatedly bitten by blood-sucking fleas and all living in a rat-infested barn - have been rescued from a breeder in what is being described as one of the nastiest puppy mills ever encountered in Tennessee. The dogs, all Border Collies, are also suffering from lice, worms, open sores, malnourishment and emotional problems, according to animal welfare officials. They were crammed into waste-covered cages in a barn strewn with decaying bodies of vermin. Sgt. Michael McLerran, head of the animal control division in the Sumner County sheriff's office, told Love of Dogs that the conditions at the kennel were terrible. "The whole building stunk. All the kennels had fleas in them." 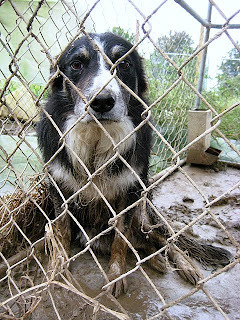 The dogs were filthy (seen at left in photos from the Humane Society of the United States) and covered in waste, Sgt. McLerran said. "These dogs were covered in there own feces and urine, they stunk and had to be carried because they did not know how to lead. It was bad." The dogs also were quite timid around people, Sgt. McLerran said. "A lot of them acted like they didn't have any human contact." The Sumner County sheriff's office and the Humane Society of the United States seized the dogs from All Around Border Collies in Portland, Tennessee. The sheriff's department had been investigating claims of inhumane conditions at breeding operation for the past year. 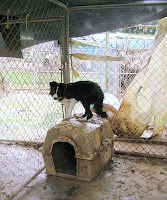 The property owner, who also runs Border Collie Rescue of Middle Tennessee, was selling the dogs on the Internet. "Today marks a new beginning for these dogs, who may have endured years of constant confinement in filthy pens and cages," Scotlund Haisley, senior director of emergency services at the Humane Society of the United States, states in a media release. 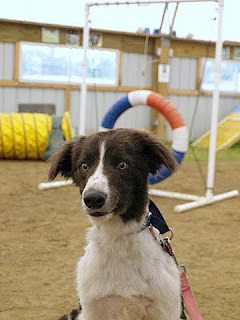 Many of the dogs have been sent to Portland and Gallatin animal shelters, some are being cared for by Mid-Atlantic Border Collie Rescue in Maryland, 25 by Mishawaka's Pet Refuge in Indiana, eight by Sweet Boarder Collie Rescue at Glen Highland Farm in Morris, New York, and seven at New England Border Collie Rescue. "They arrived in pitiful conditions - covered in mats and feces, very thin, and completely shell-shocked," Monique E. Fisher, president of New England Border Collie Rescue, told Love of Dogs. "The worst of the seven had biting fleas and lice and one was so anemic he couldn't stand when we took him out of the transport crate and he had to be rushed right to the vet." 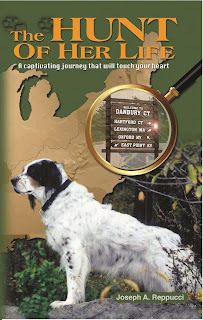 That dog (in photos at left from New England Border Collie Rescue) - named Scotlund in recognition of the HSUS rescue official - was especially in bad shape, according to Ms. Fisher. The 8-year-old male dog's eyes were encrusted when he arrived. He has kennel cough, a urinary tract infection and a serious heart murmur possibly brought on by the anemia. "All of the dogs required extensive bathing and clipping, with Scotlund needing to have his entire coat shaved because of the lice and horrid condition of his coat," Ms. Fisher said. "He also had tapeworm and at least one open sore on him and was painfully thin. Scotlund has also needed repeated baths with the special shampoo to treat the lice." The dogs are also suffering from severe emotional problems from being locked up in cramped, filthy cages for most of their lives, according to animal welfare officials. Border Collies are natural herding dogs that require extensive exercise to maintain a healthy temperament and physique. "Emotionally, they initially range from shy to pretty shutdown," Ms. Fisher said. New England Border Collie Rescue will place the dogs in foster homes to help get them ready to be placed into permanent homes, Ms. Fisher said. "We want to ensure that each receives the emotional rehab they need to be ready to go to their forever homes. So far, they all appear to have very sweet temperaments." Ms. Fisher believes all the dogs can recover and eventually be placed into permanent homes. "It will likely just be a matter of how much time each dog requires, but we believe all will be able to be re-homed successfully when they are ready," she said. Some of the dogs are already starting to make some progress like 2-year-old Smokey (seen in photo at left from New England Border Collie Rescue), who is learning how to walk and play. But rehabilitation of the dogs is likely to be slow, Ms. Fisher said. "We have foster homes with lots of experience with under-socialized, shy and fearful dogs. The process generally consists of plenty of time and patience to let the dogs decompress initially, followed by lots of positive reinforcement-based training/desensitization to get them to associate people and the world at large with very good things." The care and rehabilitation of the dogs will be expensive, Ms. Fisher said. Just a guess is that it will be minimally in the $1,500 to $2,000 range, depending on if any other health conditions are discovered." 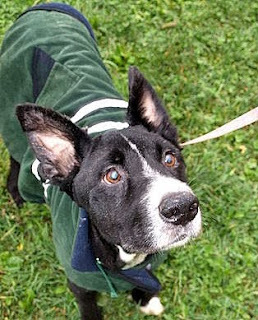 Those interested in adoption or who would like to make a donation to help pay for the care of the dogs should visit New England Border Collie Rescue, Mid-Atlantic Border Collie Rescue, Mishawaka Pet Refuge and Sweet Border Collie Rescue.